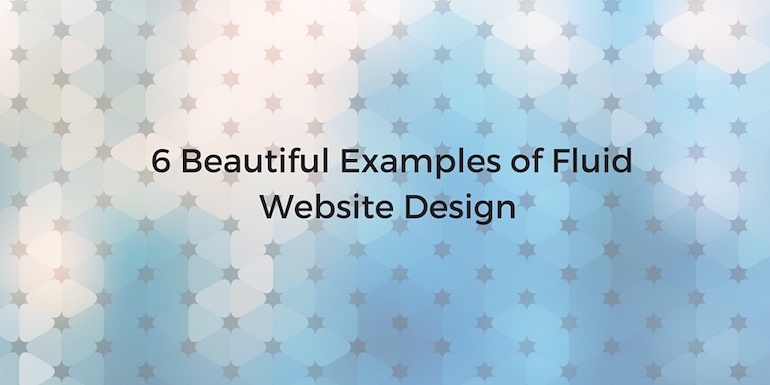 What is fluid website design? Before we define "fluid design" we have to take a step back and review another term: fixed widths. The majority of older websites are built on static, fixed widths that don't react or respond to different screen sizes. This means, the website is set to display at a fixed column width, like 900 pixels. Consequently, you can adjust your browser window or view the website on your phone and the site will stay "fixed" at that width. As the number of devices and screen sizes exploded over the past decade, these sites became very user unfriendly. Website design trends have solved the problem of multiple screen sizes in a few ways. One solution is fluid design and it is becoming more and more popular. Instead of fixed columns and widths, a fluid website is built on relative widths, grids and percentages. This allows the website to scale up and down fluidly. Responsive design is the new standard for websites for good reason. In addition to eliminating navigation frustrations across displays, the content is prioritized and smart. Not only that, but it always looks amazing because images re-position for optimal size and placement. Better yet, it eliminates friction for the end user by increasing usability, which means better marketing for your business with more conversions in the end. If you're not familiar with responsive design, it's time you learn. Can you make my website responsive? The short answer is "no, not with the flip of a switch." It is possible to make your current website responsive with custom development, but may not be the best idea. A better solution may be to invest in a new website, one where you can strategically plan your content and site structure with modern best practices in mind. A lot of noise has been made recently about Facebook's new Messenger app. Many users of the Facebook mobile app are reporting that they can no longer send messages throught the standard mobile app and instead are being forced to use the separate mobile app. So what's the big deal? Well, Facebook is being accused of crossing the line when it comes to privacy in this app and plenty of coverage is available on many major media sources like The Wall Street Journal, The New York Times, and Business Insider just to name a few.